The town of Bansko is unique with its beautiful view and centuries-old traditions and lifestyle. 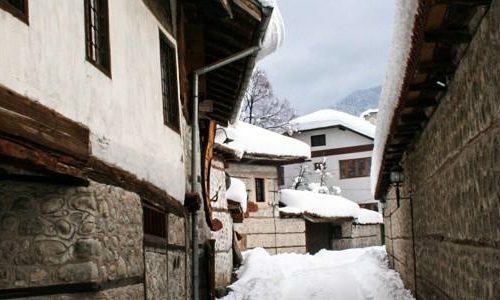 The region of Bansko offers not only amazing natural sights and landmarks, but also interesting Christmas traditions and customs. The celebrations of Christmas in Bansko start on December 20th and continue to December 25th. These traditions have an important place in the lifestyle of local residents. Thanks to their devotion and observance of the customs and, because they pass them from generation to generation, the traditions of Bansko are kept to the present day. The local residents follow the Bulgarian traditions, which have become rooted in their native memory and form an integral part of their lifestyle. They honor all religious, ethnic and secular celebrations. Typical for the people from Bansko is that everyone knows their family to the distant ancestors, as many families have a birth tree of the family, and they add it over the years with new members. The traditions in Bansko are many, as they start from the first day of the New Year and continue until Dimitrovden that is in late autumn. Almost all the year the town celebrates old and new holidays. Every holiday in Bansko is announced with a solemn bell tolling, people hold a spring of wild geranium in their hands, and finally, according to the tradition, at the table is served sweet banitsa with rice. Moreover, the residents of Bansko visit the church in the church days, as well as they enjoy an abundant and delicious lunch and dinner, with lots of wine and sweets. Usually, the secular, school and anniversary holidays in Bansko become celebrations of the entire town. Furthermore, the tradition of the town is to celebrate outside – on the crossroad or on the square. Under the sound of brass music or bagpipe and drums, people are dancing the ring dance/horo. Every year in Bansko there is a children’s Christmas party organized with theatre and big Christmas concert, as all amateur groups and ensembles take part in it, with folklore and old urban songs, disco ballet and standard songs. There is also a gala evening of the creative achievements during the year. 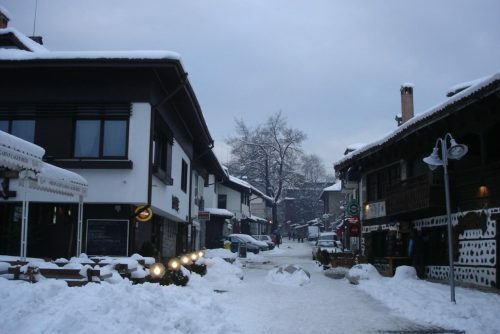 What are the most popular Christmas traditions celebrated in the town of Bansko? 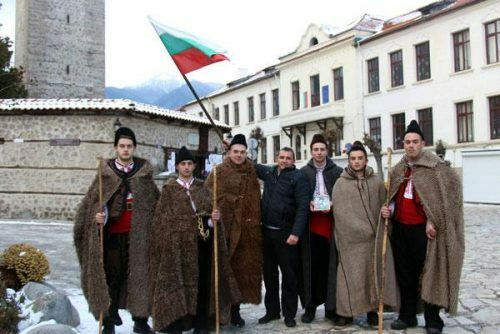 This is one of the oldest Bulgarian traditions that has been preserved in Bansko. A number of rituals are performed during the three Christmas days. 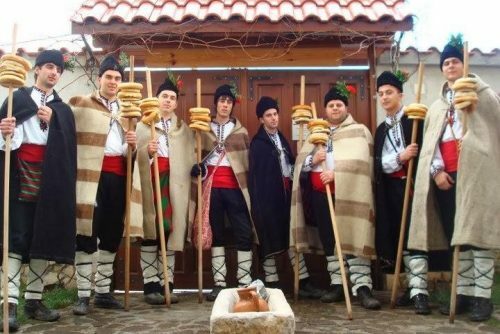 Unlike many cities and village in Bulgaria, where this tradition no longer exists, in Bansko it is still alive and is being transferred from generation to generation. Christmas in Bansko won’t be the same without visits by carol-singers /koledari/. The time for Christmas carols starts from midnight to sunrise on Christmas Eve according to the tradition. Young unmarried men and boys, as well as children dress in traditional costumes, the night of Christmas Eve just before Christmas. They are led by an adult man called “stanenik”. According to popular beliefs, supernatural creatures come out. These are goblins, bugbears, vampires. Christmas carol singing is associated with an ancient pagan tradition, believing that the carol-singers have the ability to chase away all evil forces and spirits from the town, with the power of their songs. That’s why the young men visit all houses during that night. By singing the songs they make a spell for good health and well-being of the owners, and they receive gifts from them in return. Different songs are performed during the Christmas carol singing, depending on the place of performance and the person to whom they are being sung. All of them, however, are related to a spell for good health and prosperity during the New Year. 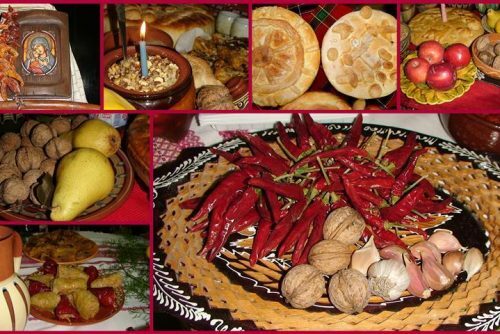 In the period when Bulgaria had a highly developed farming and economy, Christmas was in the middle of winter and this was the beginning of the new farming year for people. According to the tradition, the owners of the house give to the carol-singers the so-called “kolache“. 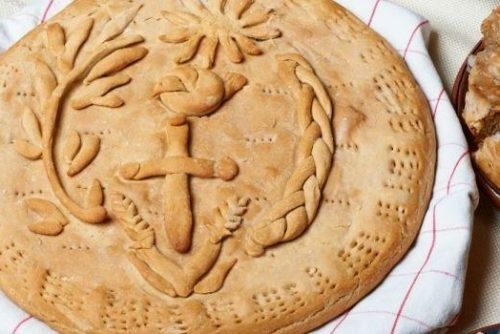 It is a type of food made of dough. It is prepared from white flour, shaped in circle with a hole in the center. It is most often placed on the koledarka. This is a special stick brought by carol-singers during their visits to the houses. The carol singers dress in traditional Bulgarian costumes such as thick hooded cloaks. They are made from hand-made wool and fur according to a very old technology. The hooded cloaks protect from cold and rain and in the past they were a common clothing for the shepherds. Nowadays these clothes are mainly used during the performance of customs. According to the tradition, the carol singers go to the most influential person in the village (the mayor, teacher or the pope) and give him their blessing. Then they continue their walk to all other houses in the village. The young boys sing folk songs to welcome good health, well-being and prosperity. The owners of the houses in turn give them freshly baked ritual breads and ring-shaped buns, wine, local specialties, meat and lard, flour, beans and money. The Christmas carol singing ends with abundant feast for the carol singers with the wine and brandy gifted by the owner of the house and the rolled ring-shaped bunds gifted by the young girl. After they finish their visits in all houses, the carol singers gather together at the table to eat and drink for the health of all people. Then the remaining products are sold and the collected money is donated to poor people or to the church and the community center. The carol singers in Bansko start their preparation for the Christmas carol singing since December 20th. They gather together to check the costumes, to decorate their hats with pop corn and flowers, and to sing Christmas songs together. From the very first day of the New Year start the Kukeri games. 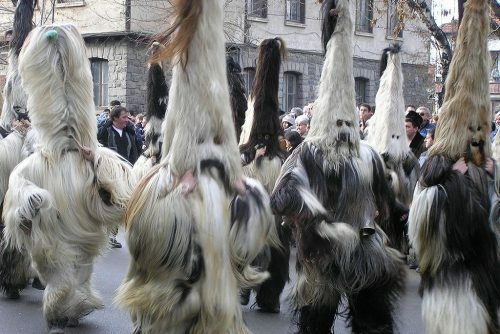 The tradition of the Kukeri games dates back to antiquity. In addition to the impressive show with fireworks for the New Year, in Bansko we can also enjoy open stages with folk music, songs and dance, and experience the authentic Christmas spirit. The Christmas menu in Bansko includes an odd number of vegan meals, usually seven, nine or eleven. Just like in other towns and cities in Bulgaria, in Bansko are also served stuffed peppers, stuffed vine-leaf sarma or stuffed cabbage leaf sarma, leek pasty, pumpkin pastry, stewed dried fruits, grains such as cooked wheat and beans, garlic, honey, walnuts, various fruits and ritual bread (also called bogovitsa or bogov bread), Bogov ring-shaped bun and blagoslovnik. Usually at the table is served everything that people have grown in their gardens. You have to try everything that is at the table in order to have good luck during the New Year. Bread with coin is served and the person who gets the coin will have good luck during the new year. When all family members are at the table, the oldest man says the prayer and cuts the bread, then gives pieces to all other family members that are gathered around the table, but first to the oldest ones. At the table must be present wine and especially young red wine, which is a symbol of the blood of Christ. For those who don’t know the yule-log is a big log that is placed in the fireplace the night before Christmas. Usually this log is thick and most often it is from pear, beech or oak tree, which is a requirement for the table at Christmas Eve. The log has to be big in order to keep the warmth in the house during the entire night. There are some folk beliefs related to the Christmas table. According to the way this special log burns, people make predictions with regard to the next year. For example, if the fire of the yule-log is wild and with lots of sparks, the coming year will be wealthy and fertile. Typically women take care of the table, but men also have their tasks and responsibilities. 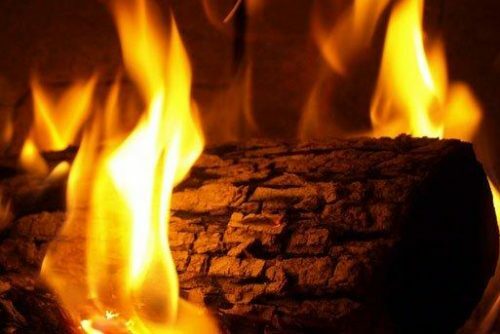 The owner of the house has to choose the yule-log, then he has to bring the wood home without the log touching the ground, and finally he has to start the fire. In the morning, the fire has to be extinguished with wine. If there are some unburnt pieces of the log, they are used to make crosses or they can be used for the plough. It symbolizes the rural labor and fertility. The ash from the yule-log should be distributed over the meadows for fertility, as it can also be used for healing purposes. 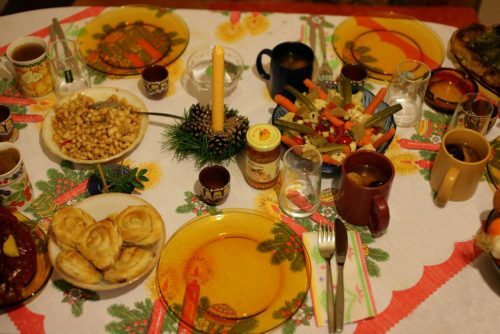 Usually the dinner on Christmas Eve starts early because of the belief, which symbolizes that the wheat will ripen sooner. The oldest man burns incense in the house, the table, sheep-pen, the granary and the cellar. According to the tradition, he rises the bread over the head of the smallest child in order the wheat to be as high, and breaks it. He places a slice of the bread in front of the icon of the Holy Mother or at some high place in order to bring luck to the house. The rest of the bread he gives to the other family members. People make predictions also on the walnuts on Christmas Eve. If the nut of the walnut that we chose to break is solid, then we will be healthy during the coming year. The person who sneezes first at the table will enjoy health and good luck. The unmarried women put a piece of the bread under their pillows in order to dream their future husband.